First things first, when I got down from the Metro yesterday I was quite blown away as this was the view that greeted me. I quickly overcame any hesitations that were trying to raise their heads and took out my SLR with the 70-300mm zoom attached to it. Can you blame me? Throughout the journey I was wondering where the sun was and what kind of sunset it was! 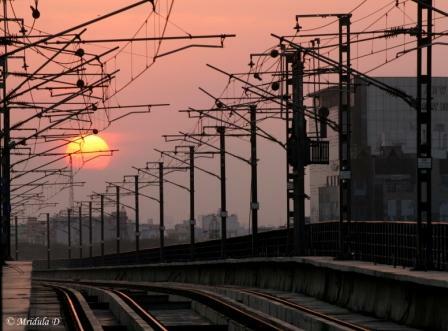 Now that I am writing the post I am thinking it could be only about the sunset pictures, but then I wanted to write about the Women Only coaches of Delhi Metro and I will do so. I remember earlier there were no such women only coaches and as I rarely travel alone within Delhi/Gurgaon I was OK with it. But recently I used the Women Only coaches quickly as I was traveling alone. The first time, I took a Metro from ISBT to Gurgaon late at night around 10.00pm and didn’t like it much, as it was not a women only coach, in fact towards the last station I was the only women in the coach and I changed it! This weekend I traveled to my sister’s place. 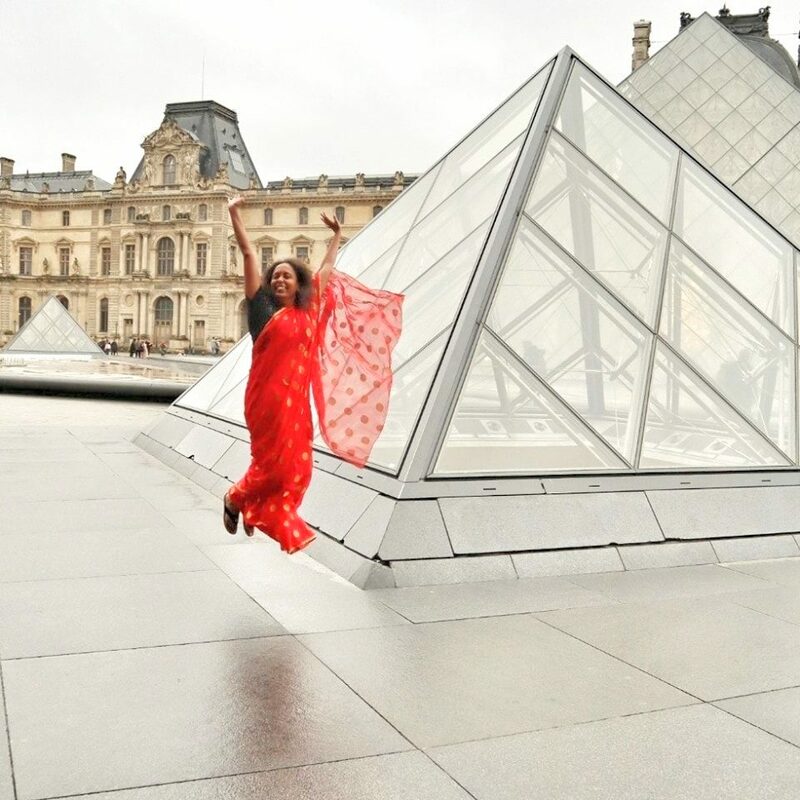 So on Friday as well as Sunday I was traveling alone and taking the Metro. I took the train around 7.00pm on Friday and 4.30 pm on Sunday. On both the occasions it was a great experience to be in a women only coach. I guess I felt more at ease, less bothered about people misbehaving with me and less concerned about guarding my personal space. A few men who tried to entered the coach were asked to leave either by the security personnel or the women in the traveling in coach. I am told that the security personnel vanish towards 10.00 pm or so and hence my relatively bad experience on the first trip. But as I said, what made my day was the sunset that greeted me when I got down. 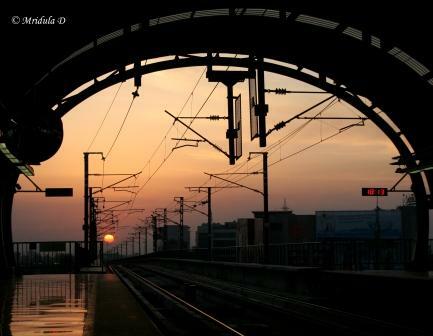 I got an added bonus of clicking a train along with the sunset too. However there was a twist in the story when I tried to get out of the station! I inserted the coin in the slot and the barrier did not open! I was quite perplexed as this had never happened before. There was a person who took out the coin and said I should talk to the customer care. When I gave the token to the person sitting there, he said it was for Ramesh Nagar! For my life I do not even know where is Ramesh Nagar and I have no clue why I was given a token for that when I wanted to go to Gurgaon! As a way out he said I would have to buy another full ticket, which I did. I could have raised a ruckus that it was not my fault but I was so happy with the sunset pictures that I bought another token and I happily got out. And before I sign off here is another picture that made me so happy that I did not fight about the wrong token! Lazy Sunday Photo- Colorful The Sun Didn't Care about the Surroundings! They didn’t stopped u from taking pictures ???? I know Mridula, The situation is same everywhere . Why it is like this in our country I do not know. Those sunset shots are beautiful. And from a perfect angle too! Excellent photographs no doubt. Thanks for sharing. I stand and claps for you. 🙂 I heard women complaining about the men in public transports. I hope the young generation would change bitter experiences. Good exposure settings for the capture, like the way they are taken. This was a very big post by you, occasional happening it seems. 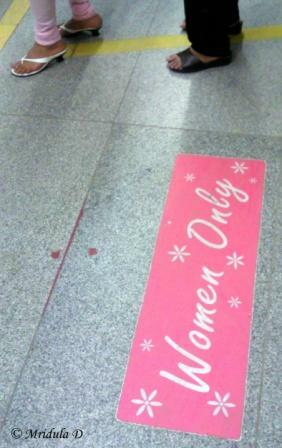 Women only seats, women only coach and women only land… these would change when people start respecting each other. let us wait for that time. Wow , nice pics and wonderful post . Tarun I was lucky 😛 no one stopped me! Chitra but I guess there is some change already and there would be more! Thanks Appu, I receive your applause with a bow! Thanks Abhilash for your views, I agree your comment is bigger than some of my posts 😀 I amslowly getting in the mood for marginally bigger posts! Anshul I am saying once again, you have a way with words, if not a blog then probably twitter? Are you on twitter? Women’s coaches are a blessing in mumbai trains, for otherwise getting in and out of the general coaches during peak time would be a nightmare! and there is no chance of me being alone in the coach even at midnight, so that is one problem i will never face 🙂 as to the token, i am surprised it hasnt happened before 🙂 as to the sunset, absolutely awesome!!! Anu I have to admit I have never been inside a Mumbai local! And thanks for the kind words for the sunset, it indeed made me stop and gawk! That is amazing pic mam. I have a Nikon D40 and I love to do the same. Sandeep 😀 how are you? Do you post the pictures online? That’s a fantastic snapshot. 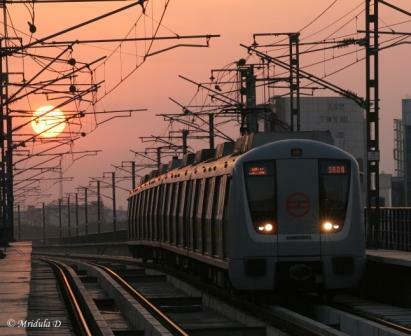 Delhi Metro is amazing in terms of efficiency, safety and cleanliness. It is something every Indian state can and should implement. Regarding coach for women alone, its a sure blessing. I know my wife’s safer on the Delhi Metro than in a bus or an auto. Thank God for Delhi Metro!